The three men hoped to trek into the world’s largest cave without porters, guides or tickets. 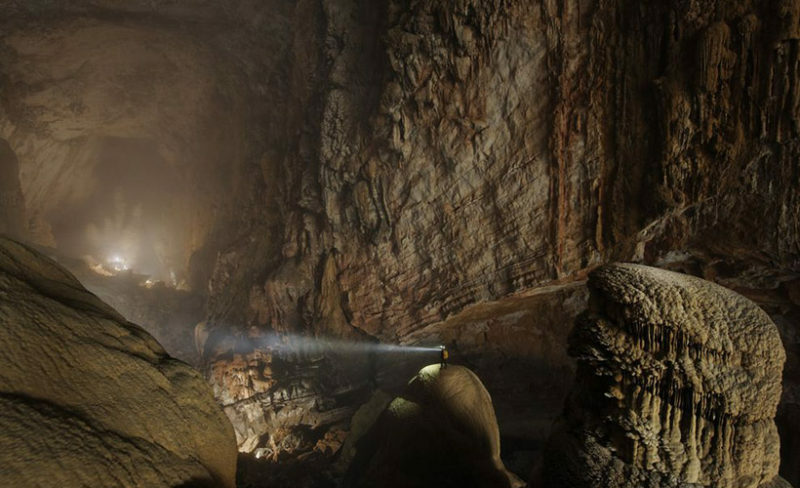 Officials in Quang Binh Province stopped three men traveling on French and American passports from attempting to access the world’s largest cave alone. The men, aged 29 to 34, were stopped on February 25 in an ethnic minority village in Phong Nha Ke Bang National Park. The group reportedly admitted that they were using navigation devices to attempt to unlawfully access Hang En Cave and Son Dong Cave. Officials from the National Park Management Board described their attempt as potentially deadly. 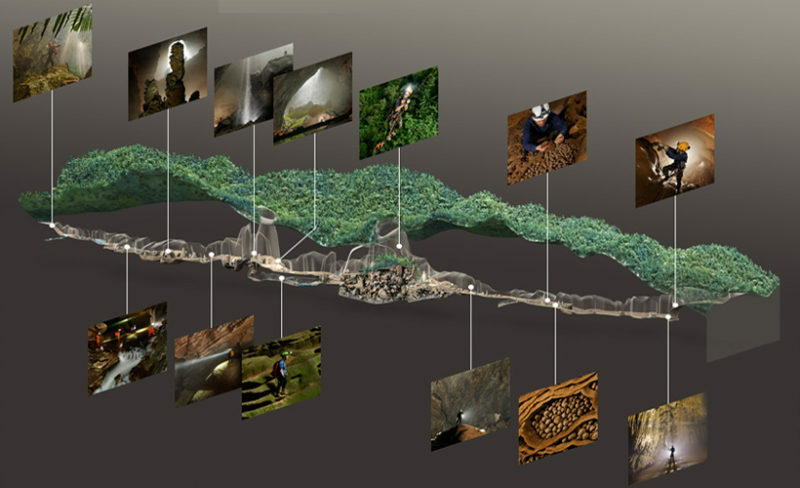 “Traveling into Son Doong Cave without protective equipment or proper guidance is very dangerous and might lead to life-threatening situations,” said Le Thanh Tinh, the director of the national park. Vietnam has sought to contain reckless adventure tourism with limited success. This week a Polish tourist and his Vietnamese guide died while illegally repelling down an 80 meter waterfall at a cave in Lam Dong Province. Last year, a British backpacker was found dead outside Sapa after setting off alone to climb Fansipan mountain. The authorities interview the three tourists caught illegally trekking into Son Doong and Hang En Cave. 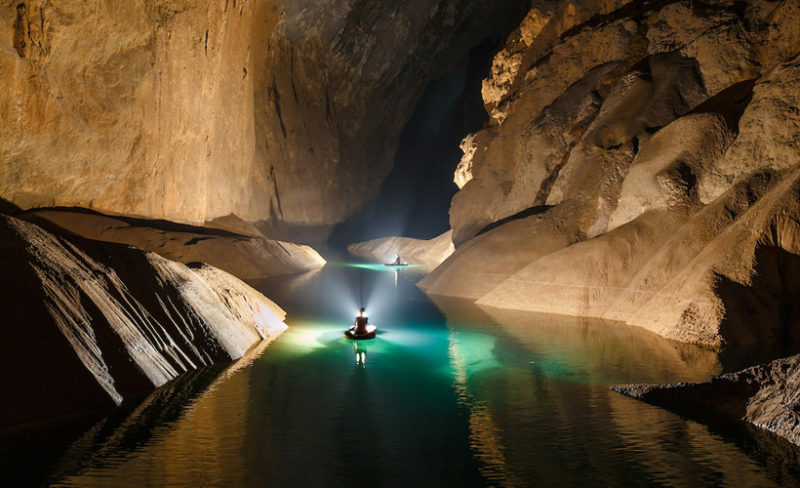 Photo by Stringers/Phong Nha National Park via VnExpress. The three tourists agreed to pay an undisclosed administrative fine and proceeded to visit other approved destinations in the park. Only one tour operator has been allowed to bring tourists into the cave due to safety and conservation concerns. In addition to a $3,000 ticket fee, all potential visitors have to meet all strict health requirements to qualify for a valid entry permit.